A warm orange glow is reflecting onto the calm Adriatic Sea as we enjoy moreish canapés and free-flowing bubbles at the Sail Away party on the top of Marella Dream. The sun is starting to set, there’s relaxing music and a fabulous view, as well as the opportunity to mingle with the captain and swap stories with some of our fellow passengers. The water sparkles as we gently sail out of Venice and, looking back to the Floating City as it gradually fades into the horizon, we can see why Marella passengers love this Adriatic Explorer itinerary so much. It’s the chance to experience six very different destinations in eight days in five beautiful countries: Greece, Slovenia, Italy, Croatia and Montenegro. As we wander around the decks of Marella Dream we find ourselves in the Medusa Lounge & Bar, drawn in by the lively resident rock band, Top Men. There are two spare seats right in front of the stage and, before we know it, we are singing along to covers of Queen and Kings of Leon, prosecco in hand (taking full advantage of the onboard premium drinks package). We don’t even need to miss a tune to visit the bar thanks to the attentive staff who are quick to refill our empty glasses. 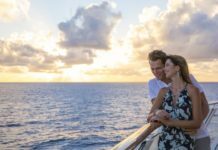 This is our first experience of sailing with Marella Cruises (formerly Thomson), and we’re impressed. The staff are friendly, the entertainment fun and our spacious Deluxe cabin has premier service, which means that as well as faster check-in and luggage delivery, we’re able to order a fresh continental breakfast to our room on any day. The package also allows us to select three of our dresses to be ironed, so we are perfectly groomed for the Captain’s Dinner on the second night, an occasion not to be missed. Marella Dream’s wide decks and spacious public areas offer multiple restaurants, bars and sun spots to explore and even a room especially designed for jigsaws and board games. As soon as we have settled in to our new home for the next seven nights, it is easy to get excited about our first port of call, Koper, in Slovenia. While many guests join some of the tours on offer, we opt to explore by foot – easy to do as the ship docks close to the heart of the city, so we spend a very pleasant day meandering through the quaint streets, sampling local seafood dishes and climbing to the top of the bell tower in the Old Town’s cathedral. Luckily the steep 300 steps and heavy panting is worth it as we find ourselves on a narrow walled ledge that offers panoramic views of the city, with its terracotta tiled rooftops, and across to the glittering Adriatic and mountains in the distance. Back on board we head to our cabin to wind down before dinner. For convenience, the Lido and Sirens buffet bars offer a range of fresh salads and hot food, but if you are craving a more sophisticated dining experience, the Orion restaurant on deck 4 is just fabulous. Evenings on board Marella Dream are all about new experiences; this was our first ocean cruise and discovering such a diverse range of entertainment options is a pleasant surprise. As we sit in the glamorous red velvet chairs in the Broadway Show Lounge, the barman serves us freshly made cocktails and we eagerly wait as the curtains draw back revealing the stage. The next 45 minutes are a joy as the talented entertainment crew performed a unique production of Moulin Rouge, complete with one of the longest can-cans I have ever seen. The colourful burlesque costumes and high energy choreography means we just have to dance so, making friends with a Scottish couple along the way, we end the night in the Casino, putting the dance floor to good use with our fellow party goers. The days can be as energetic or relaxing as you choose. A full day in Venice really is just a taster and we resolve to return to explore in more detail one day. The full day Gondola and St Mark’s tour is extremely good value for money. 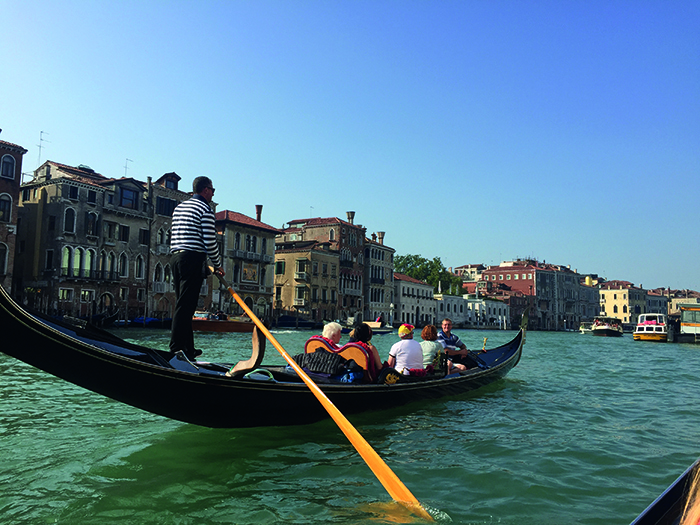 For £52pp we are taken to the heart of Venice on a smaller chartered boat (the port is a short trip away). As we set foot on land we are swiftly led to the gondoliers by our knowledgeable guide. Watching our very smooth gondolier navigate some narrow canal paths and low bridges is a definite highlight. Once our 30-minute trip has ended we spend the rest of the day visiting the many tourist attractions and doing a little shopping, picking up a scoop of cherry gelato for the boat trip back. When in Italy. The sun is very strong in Split, so after a 20-minute walk along the seafront we arrive at Ježinac beach, a fine pebble beach with idyllic clear water to cool down in. Our longest day on land is spent in Split so we really make the most of it. After a relaxing sunbathe and swim, there is plenty of time to make our way back to the city for a spot of window shopping, admiring the white stone architecture along the way. As the sun begins to set we climb up some more stairs (the best views don’t come without a little physical exertion), to the very cute Teraca Vidilica bar. If you can bag yourself a seat on their gorgeous terrace you can see the entire city of Split, Riva and the harbour. It’s absolutely glorious, and we also spot Marella Dream nestled in the port. Arriving in Dubrovnik, we hop on one of the regular tourist buses just outside the port and were in the town centre within minutes. Buy a two-way ticket so you can jump straight onto the return bus at the end of the day with minimum fuss. 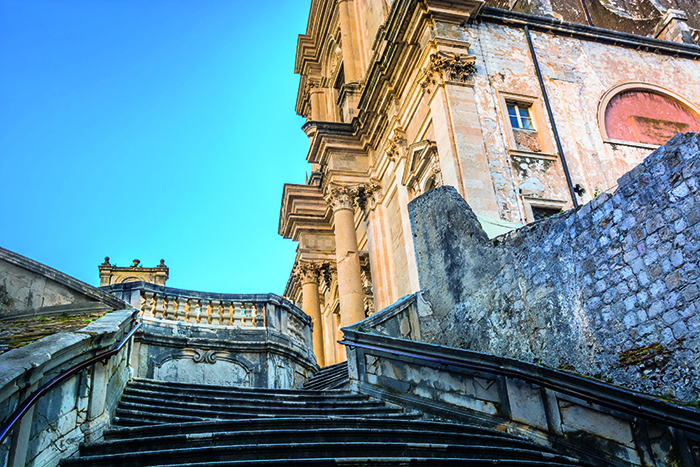 Dubrovnik is instantly recognisable as the backdrop to many Game of Thrones scenes, with its tall, stone walled buildings and, of course, the renowned Jesuit Stairs, which a naked Cersei Lannister was forced to descend during her Walk of Shame. Super fans told us the Game of Thrones walking tour is fantastic, but we opt for a stroll along the city walls instead. At 1,940 metres long the walls surround the city and you can enjoy views overlooking the red rooftops, harbour and beyond, from its highest points. 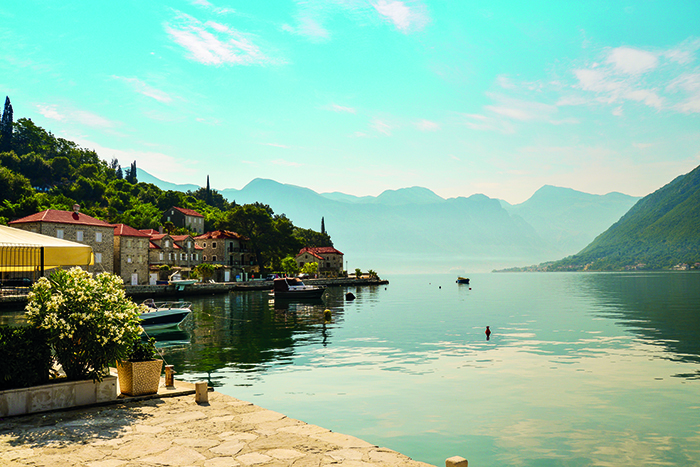 Kotor in Montenegro is the most surprisingly beautiful port of call with its stunning emerald waters and mountains. As we sail into the harbour it looks quite Scandinavian, but the climate is much more Mediterranean and, with UNESCO status, the scenery is jaw dropping. Climbing the city walls is an endurance test but, once we arrive at the top, the panoramic views are definitely worth the effort. 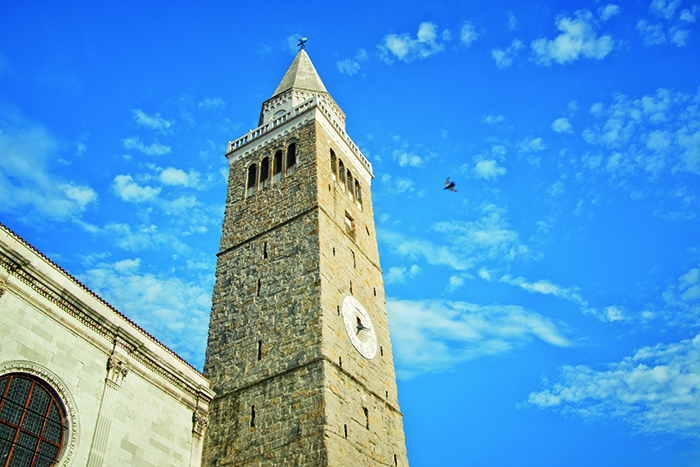 The beauty of the Adriatic Explorer itinerary is that each day offers something completely unique, giving you a taste of all the fabulous places this stunning region has to offer. 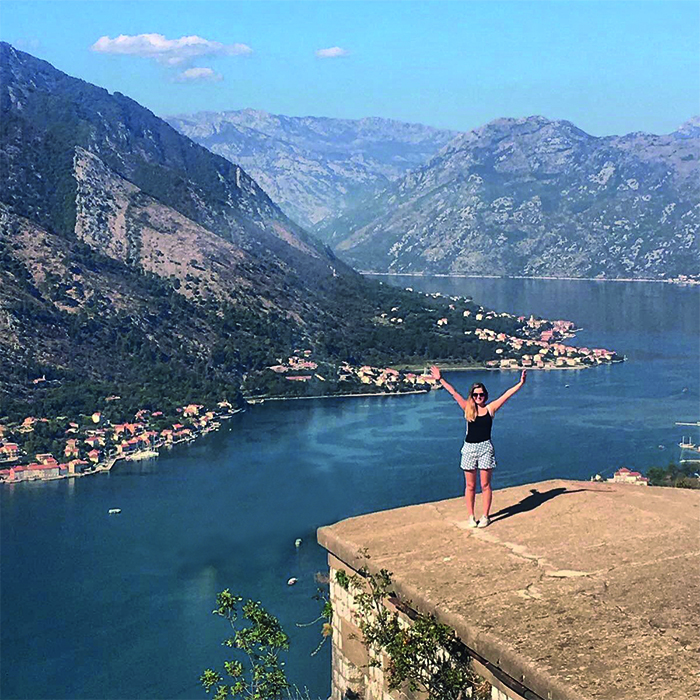 Everyone on the cruise has their favourite destinations – but for me it’s definitely Kotor. On our final night on board we enjoy a slightly more exclusive dining experience at the Hotstone Grill. For an incredibly reasonable £15.95pp cover charge, we savour delectable steak and lobster, which we cook ourselves, accompanied by sauces and the side dishes of our choice. 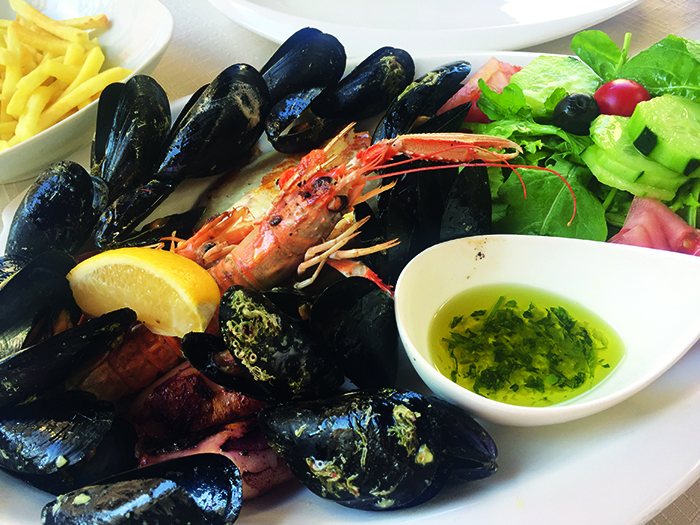 It’s a delicious and fitting finale to our Adriatic cruise. 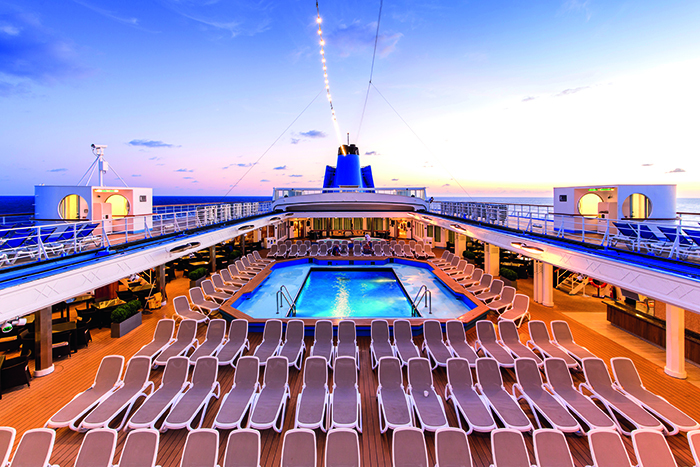 GETTING THERE: Marella Cruises has a seven-night Adriatic Explorer cruise on Marella Discovery 2 departing 11 May 2018, from £1,119pp based on two adults sharing a deck 2 or 3 inside cabin on an all-inclusive basis. Departing from Corfu Town, Corfu, the cruise visits Koper, Slovenia; Venice, Italy; Split, Croatia; Dubrovnik, Croatia and Kotor, Montenegro. Includes return flights from London Stansted airport, transfers, port taxes, tips and service charges (0871 230 2800; tui.co.uk/cruise).